Jessie grew up in Rose Creek, Minnesota. She worked as a lab assistant while earning her dental hygienist degree. After graduation she began working at Elrod, Green & Heimer in 1993. 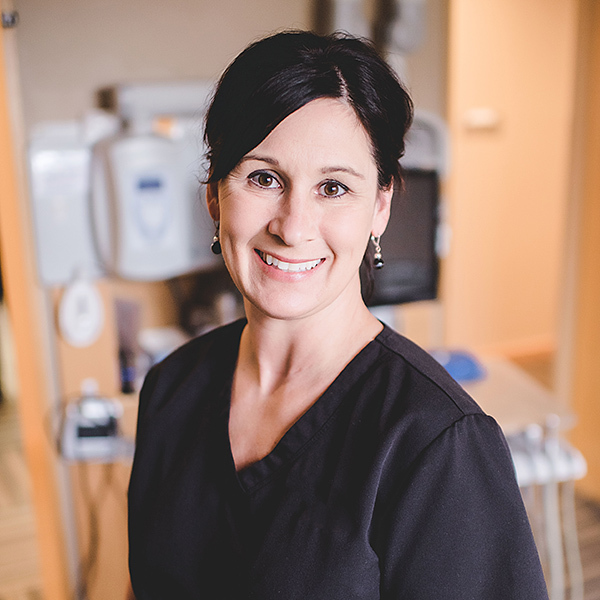 She brings 24 years of experience to her patients and has 100+ hours of continuing education at the University of Minnesota. Jessie is active in her community and serves on a variety of committees in Blooming Prairie and has been on seven mission trips to Guatemala. She also gives her time and talents to Operation Grace and Give Kids a Smile. In her spare time Jessie enjoys watching her children play sports, horseback riding, gardening, and spending time at the lake.